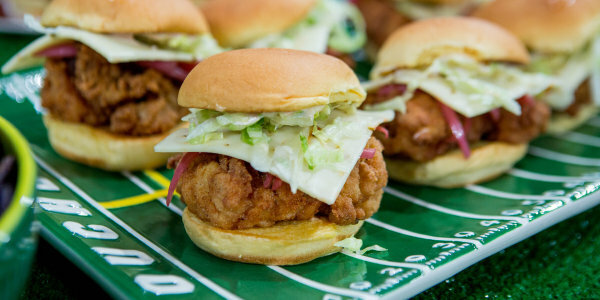 Serve creamy crab dip, crispy chicken sliders and cheesy cheddar biscuit sandwiches with ham and pepper jelly for great game-day grub. 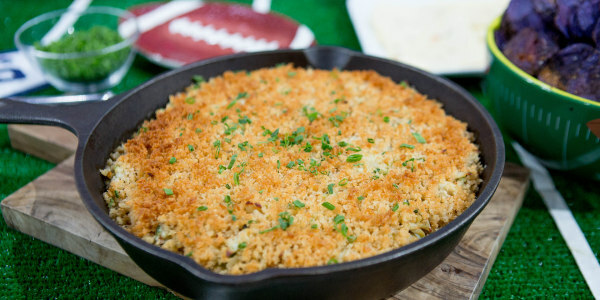 We're getting ready for this week's Sunday Night Football game with the next installment of our TODAY Food Loves Football series. 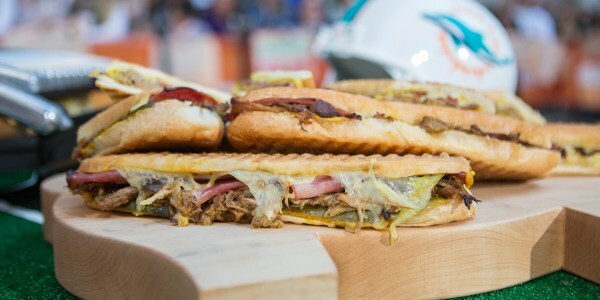 Boston-based chef Jason Santos is preparing recipes inspired by the New England Patriots and Denver chef Justin Brunson whips up Broncos-themed eats. Santos shows us how to make spicy fried chicken sliders and a warm, creamy crab dip with spiced kettle-style potato chips. Brunson demonstrates how to prepare cheesy buttermilk biscuits and then turns them into savory sandwiches filled with ham and a spicy-sweet red pepper jam. There is nothing better than a juicy fried chicken sandwich. Adding a little Cape Cod seasoning boosts the flavor of this stellar dish. Spice from Pepper Jack cheese and acidity from pickled onions pairs perfectly with the crunch of lettuce. This dip because is a lighter version than the usual overly-creamy and heavy crab dips. 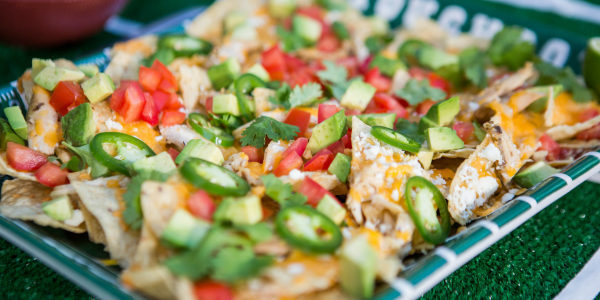 It packs boat loads of fresh flavor without being too rich. 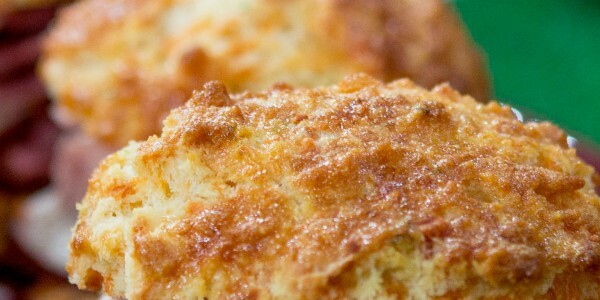 These fluffy biscuits are laced with cheesy cheddar cheese and flecked with fresh chives making them irresistibly delicious. These tasty sandwiches are best served on homemade Cheddar and Chive Biscuits. 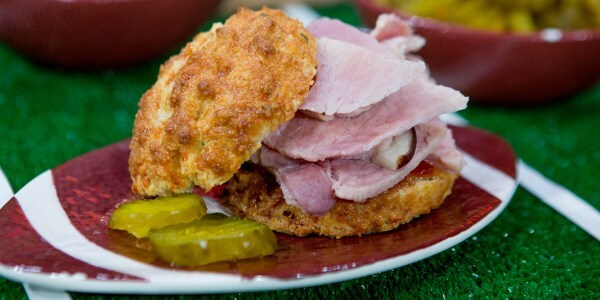 The cheesy, flaky biscuits compliment smoky ham and sweet pepper jelly perfectly.